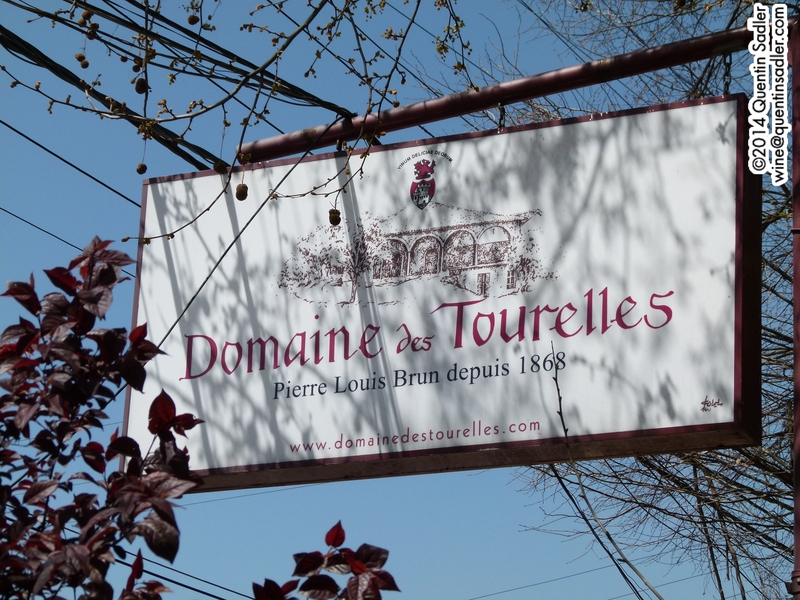 The sign at Domaine des Tourelles. My recent trip to Lebanon was a wonderful experience that I enjoyed for its own sake and for the wines and wineries that I came across. I tasted a large number of really good wines and met lots of people passionate about Lebanese wines – and I have now joined their ranks. There is a lot to like about Lebanon, both as a country and as a wine producer. 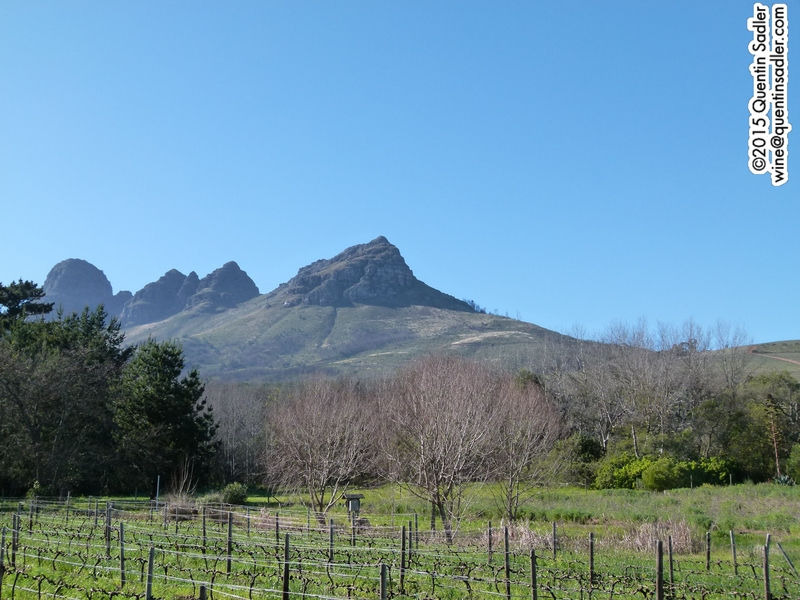 None of the wines that I tasted were less than palatable and a large proportion of them were really very good indeed. This estate in bustling Chtaura is right on the main road through the town, yet manages to be a haven of tranquility. It’s such a beautiful and restful spot that as soon as you enter the gates you leave the noise and the traffic behind, even though it is just yards away. 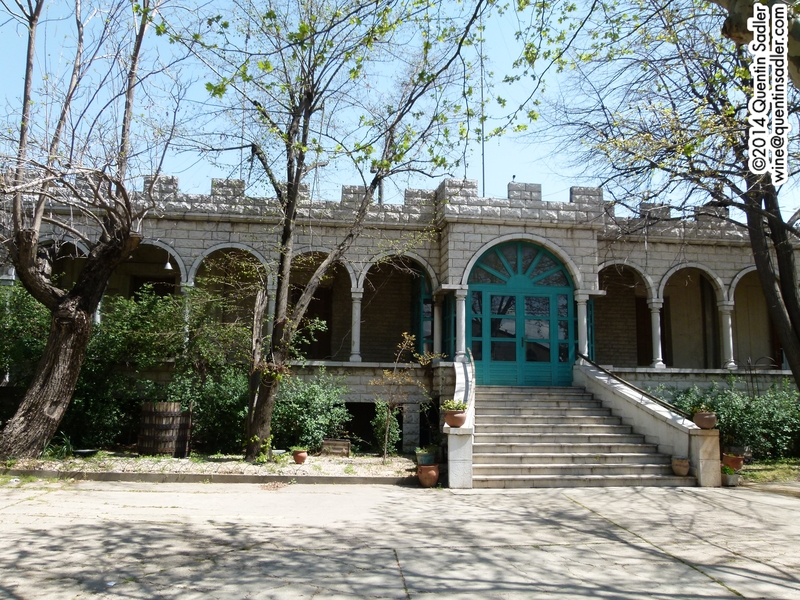 It is an old estate, the oldest secular wine producer in Lebanon, having been created by Jura-born Frenchman François-Eugène Brun in 1868. 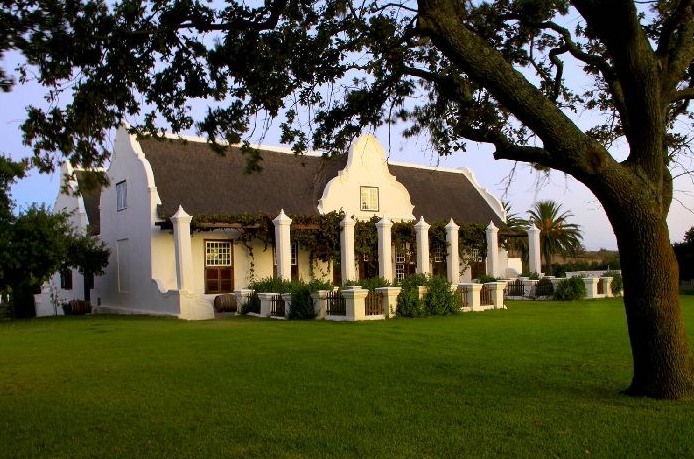 Nowadays it is owned and run by the delightful Faouzi Issa who is a an extremely fine winemaker who believes in non-interventionist winemaking and who crafts a very fine range of wines. 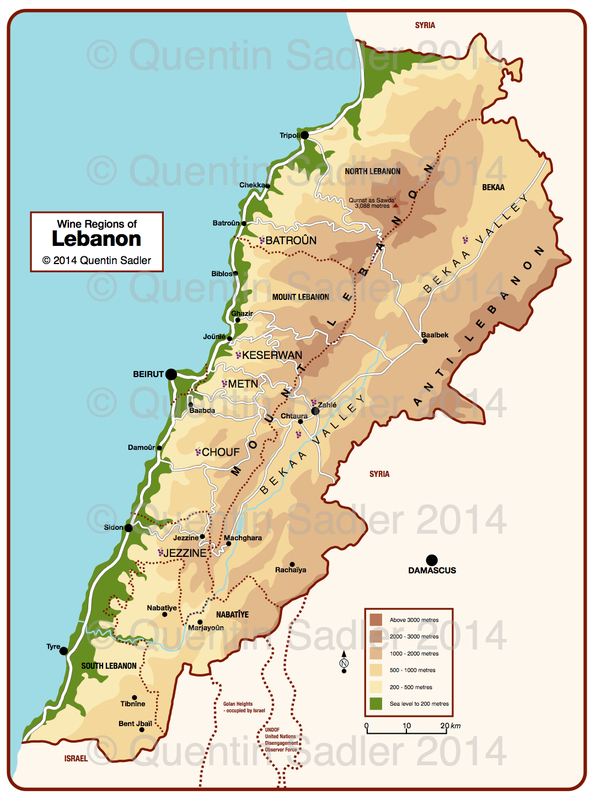 Map of Lebanon including the wine regions – click for a larger view – non watermarked PDF versions are available by agreement. 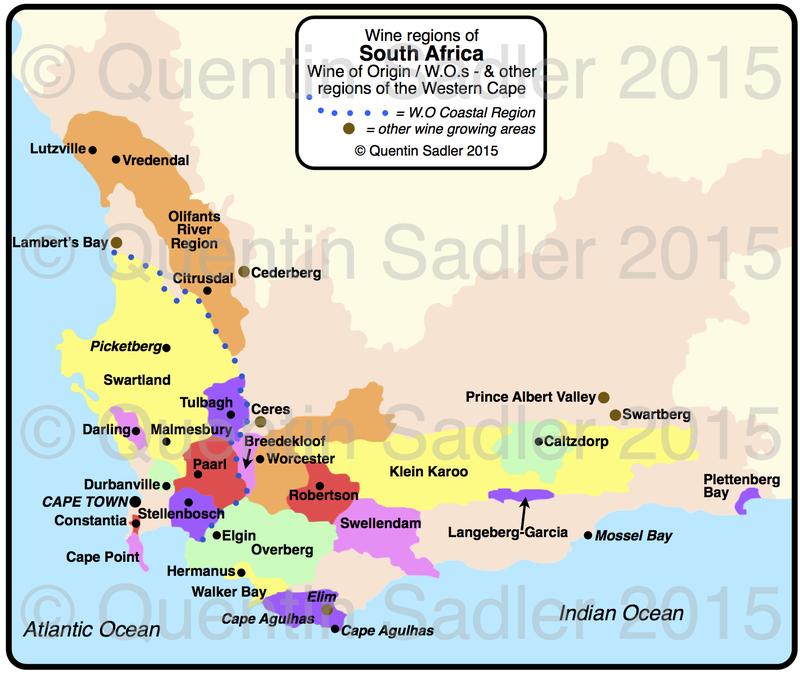 This dry white is an enticing, aromatic and accomplished blend of 60% Viognier, 33% Chardonnay and 7% Muscat. Faouzi only uses wild yeasts and does everything as traditionally as he can, but for this white he eschews his beloved concreter tanks for a cold fermentation in stainless steel. The result is a first rate wine that is greater than the sum of its parts. The nose is lifted, aromatic and very attractive with herbs, cracked white pepper, fresh mango and honey in abundance, with some creamy ripe notes too. The palate is mouth-coating textured and succulent, creamy with a touch of peach skin mouthfeel all balanced by good acidity and some taut minerality keeping it fresh, vibrant and fine. This wine just kept getting better and better in the glass too. Seriously impressive stuff, lovely with a whole range of foods from crisps to haute cuisine, the aromatic quality would make it good with pieces, while the texture and acidity would partner creamy sauces very well too and it would also be lovely with something like a piece of sea-bass – 91/100 points, marked high for being such great value. Do try this wine if you can it is very good and very enjoyable too, everyone I showed it to really liked it. Available in the UK for around £10.00 per bottle from Slurp, N.D.John more stockist information is available from the Domaine des Tourelles’s UK distributor, Boutinot.